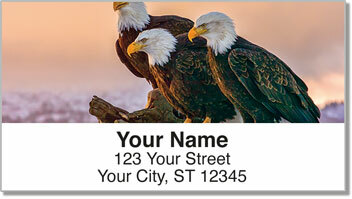 Inspiring photography displaying a national symbol of freedom makes these labels one of our most popular. After decades in decline, bald eagles have made a major comeback in North America. That's just one reason why this noble bird of prey is the perfect creature to represent the resilience and perseverance of the American spirit. 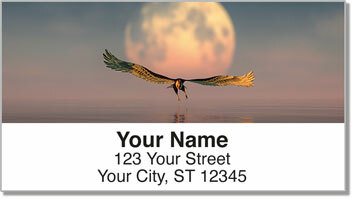 American Eagle Address Labels from CheckAdvantage come with a convenient self-adhesive backing and clearly display your name and return address. 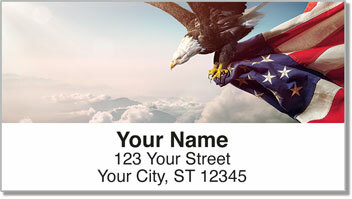 They can add a patriotic feel to anything you send out in the mail, and they're also a great choice for lovers of the outdoors. 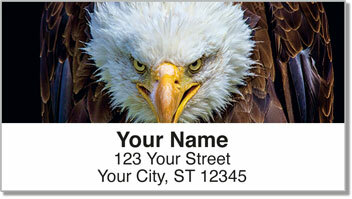 Get your own American Eagle Address Labels now! You can complete your order by selecting matching personal checks as well!